Everyone has been in a hurry once or twice in their life. Sometimes our mornings don’t go exactly as planned and we find ourselves rushing to get to work on time. Unfortunately, when drivers rush, they tend to make some careless and reckless decisions. A perfect example of this is when drivers fail to stop for school busses. 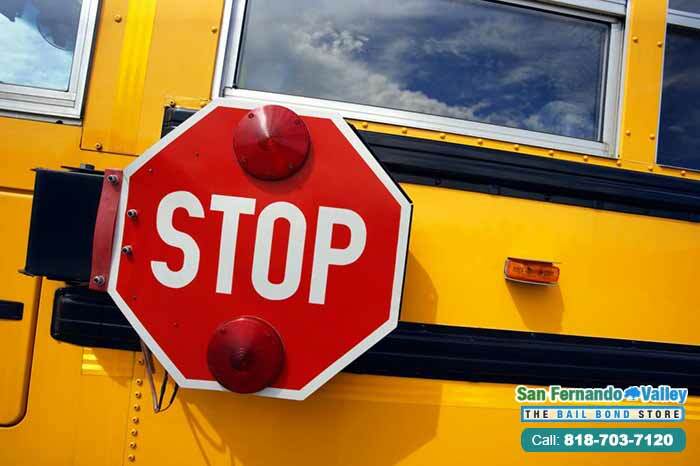 Here in California, drivers are required by California Vehicle Code 22454 to stop for school buses that are displaying flashing lights and/or an extended stop sign. What’s more, a law like this exists in all 50 states. In California, the only time a vehicle doesn’t have to stop for a bus is if they are on the other side of a divided roadway that has two or more lanes traveling in both directions. The reason for the law is that driving by a school bus while kids are boarding or leaving the vehicle is dangerous. If a car hits the bus, dozens of children could be hurt or killed. Nobody wants that to happen, and yet thousands of people ignore stopped buses every single day. Breaking this law can result in heavy fines, increased insurance premiums, and a suspended license for up to 6 months. Plus, this will add points to a person’s driving record, which can get a driver into even more trouble. 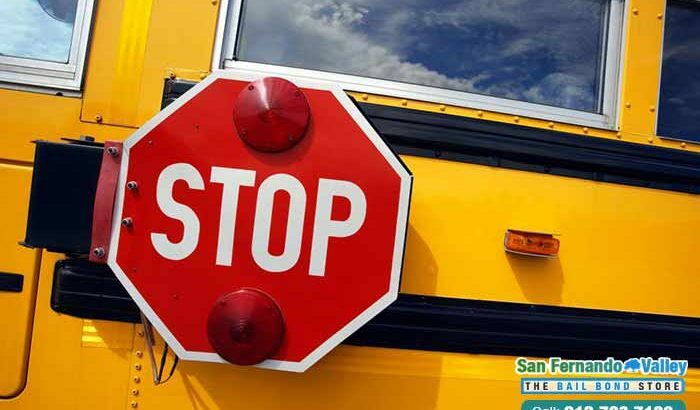 Basically, it is not worth it to pass a school bus no matter how late the driver may be. Arleta Bail Bonds, Arleta Fianzas, Balboa Bail Bonds, Balboa Fianzas, Burbank Bail Bonds, Burbank Fianzas, Canoga Park Bail Bonds, Canoga Park Fianzas, Chatsworth Bail Bonds, Chatsworth Fianzas, Echo Park Bail Bonds, Echo Park Fianzas, Encino Bail Bonds, Encino Fianzas, Florence Park Fianzas, Glendale Bail Bonds, Los Angeles Bail Bonds, Los Angeles Fianzas, North Hollywood Bail Bonds, San Fernando Fianzas, San Fernando Valley Bail Bonds extended school bus stop sign, failed to stop next to school bus, ignore stopped buses, penalties for not stopping at stop sign, scholl bus red stop sign, school bus displaying flashing lights, school bus stop sign fines, Stop for School Buses, when drivers fail to stop for school busses. permalink.